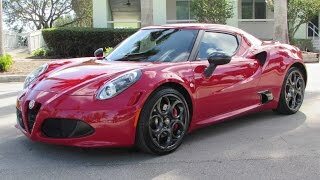 Alfa Romeo had debuted the production version of the Alfa Romeo 4C at the 2013 Geneva Motor Show in March 2013. The Alfa Romeo 4C derives directly from the 4C concept which raised many eyebrows in wonder at the Geneva Show in 2011. This mid-engined rear-wheel drive coupe with two bucket seats represents the true essence of a sports car at the heart of Alfa Romeo’s DNA: performance, Italian style and technical excellence, offering maximum driving satisfaction in total safety. The acronym ‘4C’ draws its inspiration from the brand’s glorious past, projecting the values of technology and emotions into the future. 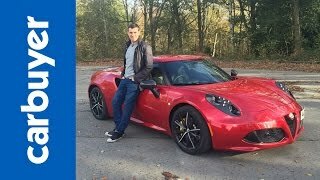 Alfa Romeo hasn’t revealed how much power the Alfa Romeo 4C will deliver, but has confirmed that each horsepower will be pushing only 8.8 pounds. If assured 230 to 250 hp engine is utilized, it indicates that we could be looking at a curb weight of just over 2,000 pounds. The engine will be a turbocharged 1.75-liter unit composed of aluminum and powering only the rear wheels. The powertrain will also feature the Fiat Group’s MultiAir technology and a new "scavenging" system that's said to reduce turbo lag.